The following items are pr samples and this post mentions an affiliate code. 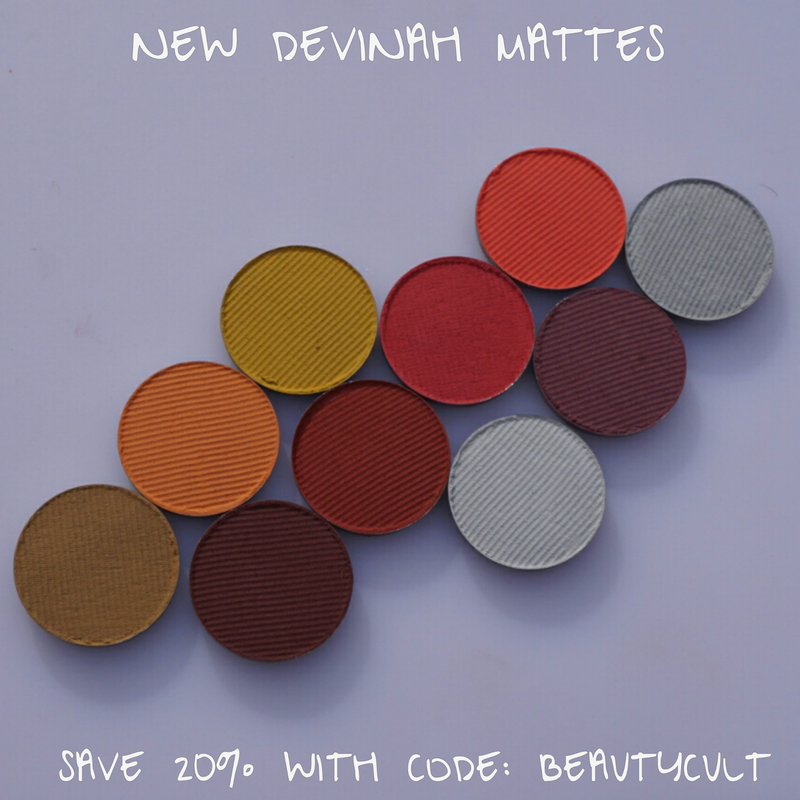 This Friday, February 10 at 9am PST/ 12pm EST DEVINAH COSMETICS is releasing 10 new matte eyeshadows! All of her shadows are $5 each but you can use our affiliate code BEAUTYCULT to save 20% bringing the price down to $4. The collection is heavy on the reds and warm tones with a few cooler shades for balance. Ah! How satisfying is this photo?? 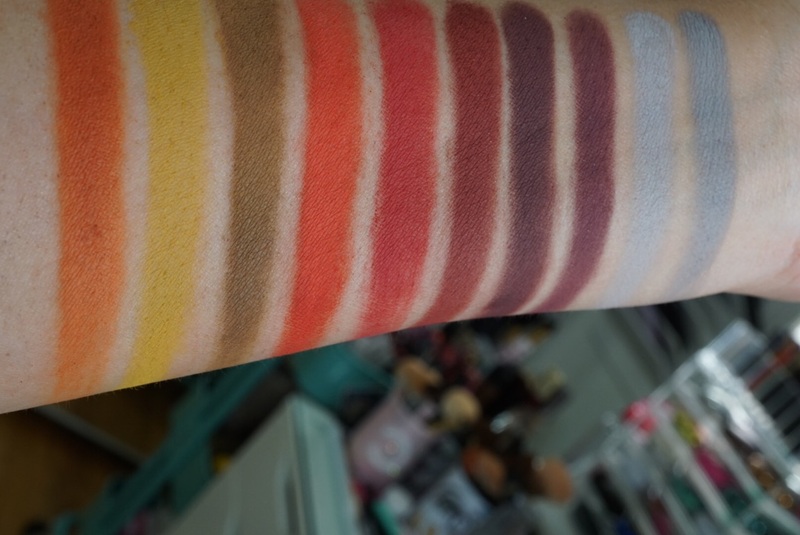 Okay so let’s take a look at each shade, one by one, starting with the warmer colors. ILITHYIA is an interesting color. I’m going to describe it as a tomato red with subtle orange undertones. It’s somehow bright but also muted. 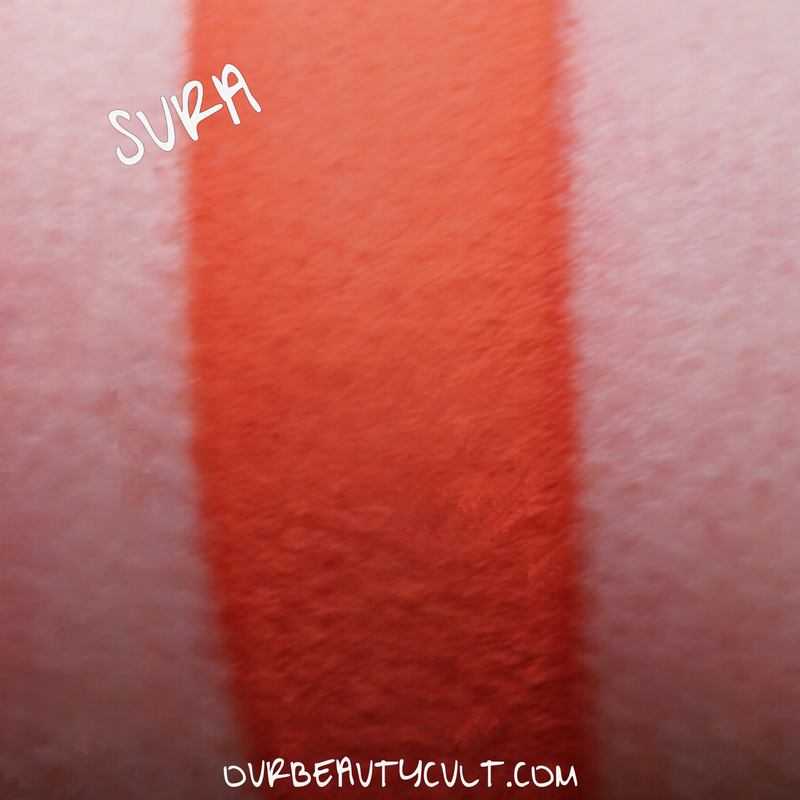 SURA is bright orange with red undertones. It’s like a mixture of UD SLOWBURN and NARS PERSIA. It’s not as bright or red as SLOWBURN and it’s more bright and more red than PERSIA. 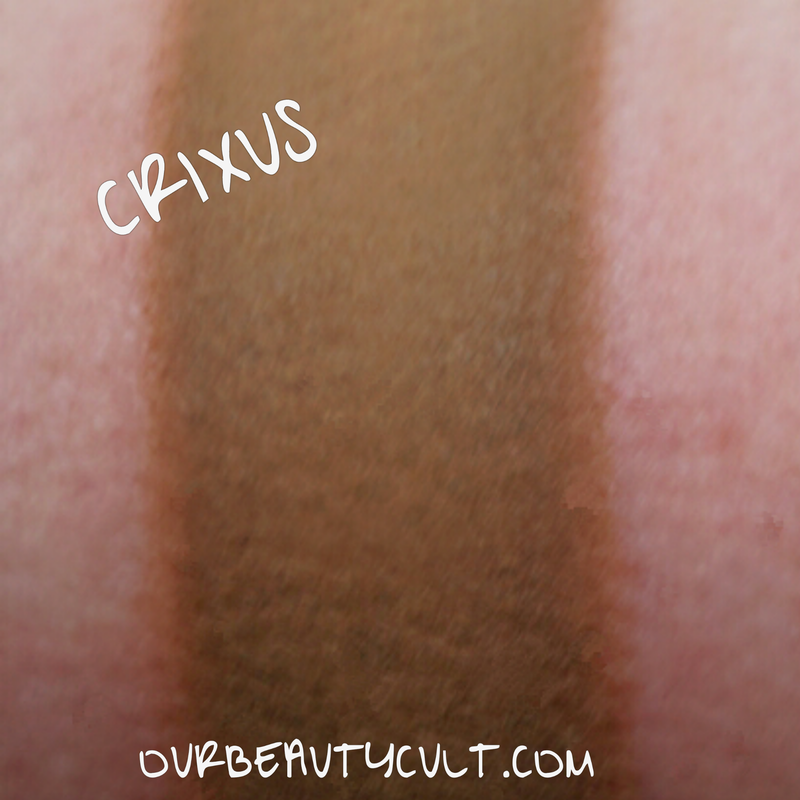 CRIXUS is a medium dirty brown with olive undertones. Dirty brown makes it ugly and it’s really not. It’s a very versatile color that you could pair with neutrals or a colorful look. 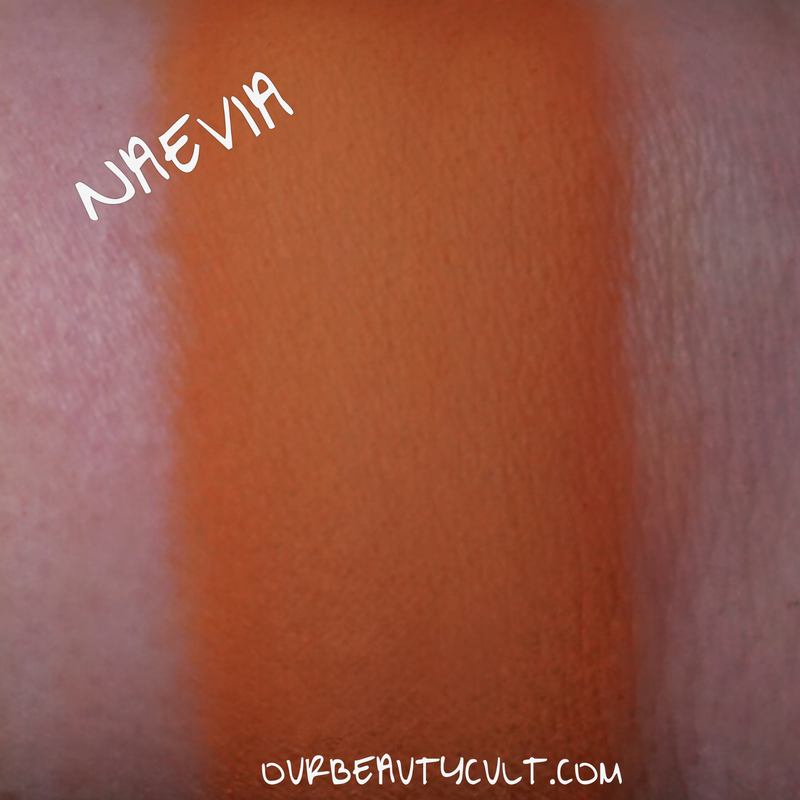 NAEVIA is a light medium orange with yellow undertones. COURTNEY is the color of split pea soup. It’s another ‘ugly’ color that plays well with others. Just a hint of this color peeking out on the crease can add an interesting element to a neutral look. 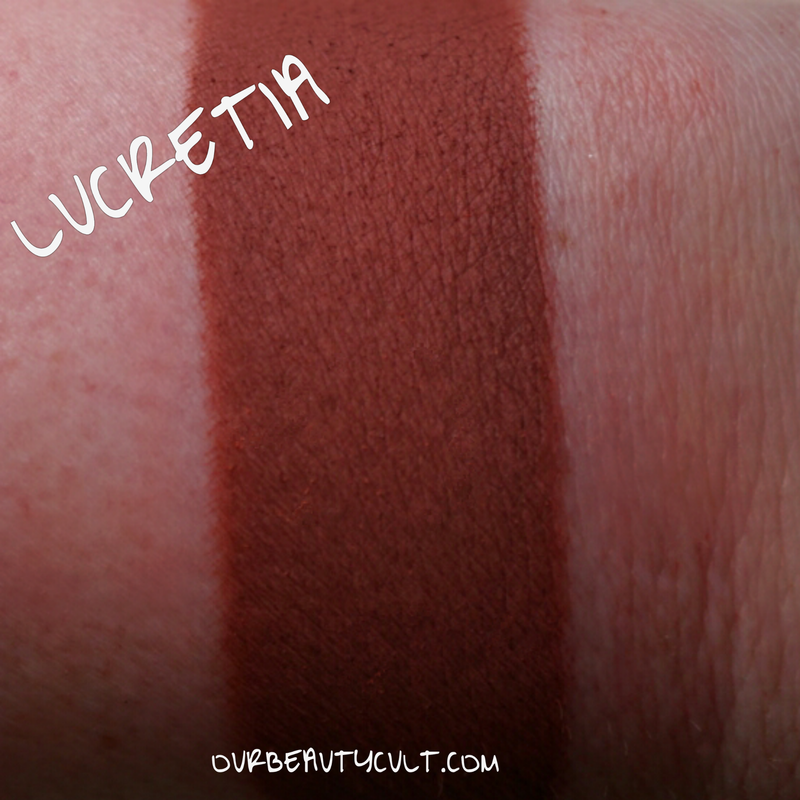 LUCRETIA might be my favorite of the lot. It’s a deep, muted, brick red. 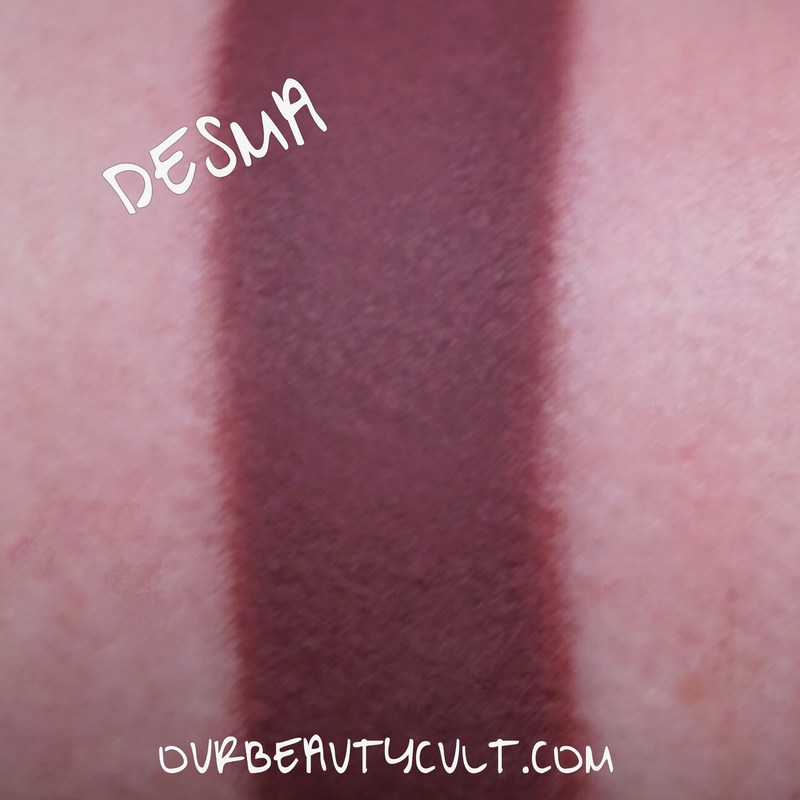 DESMA is dark burgundy with plum undertones. 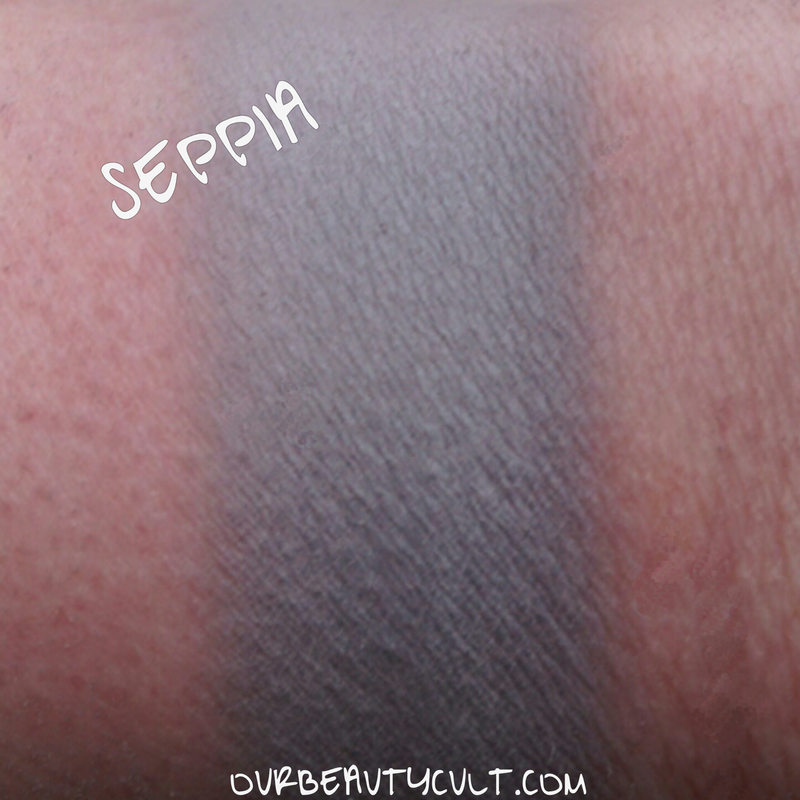 SEPPIA is medium slate blue. 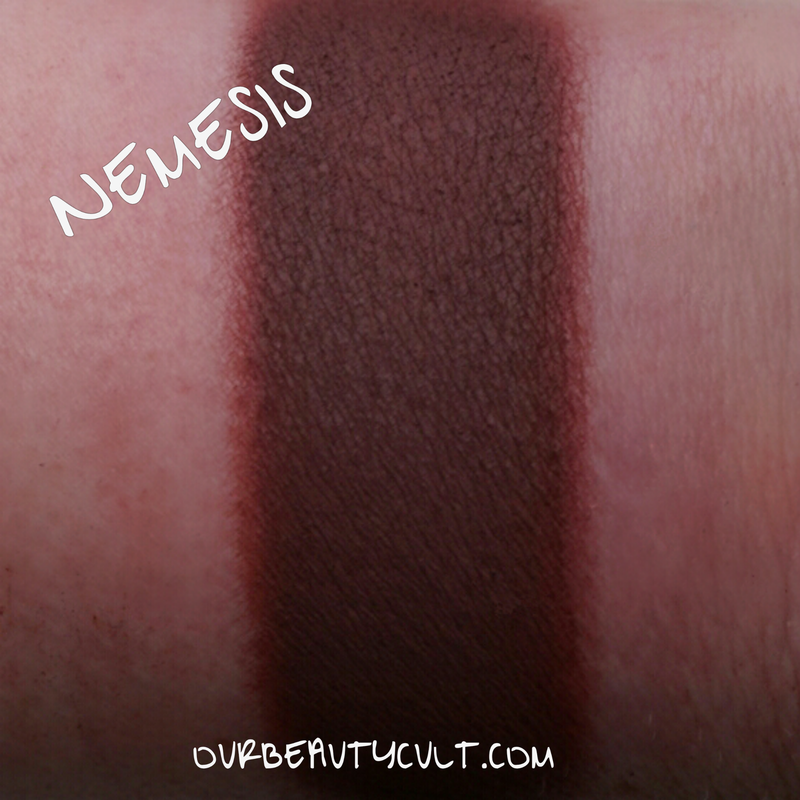 NEMESIS is a very dark brown with burgundy undertones. I think it’s pretty similar to MUG CHERRY COLA. 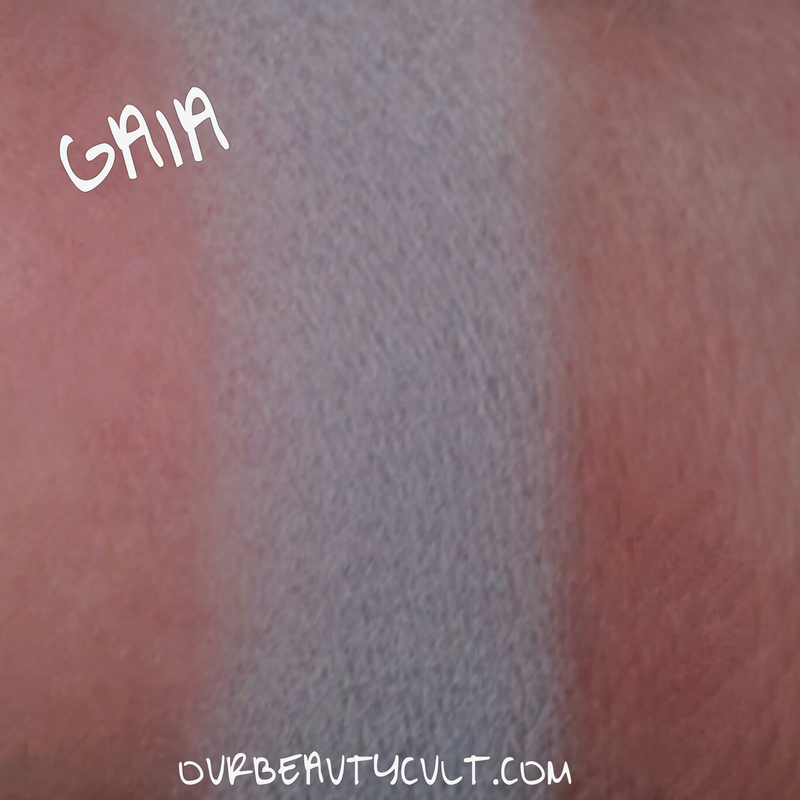 GAIA is a light gray with cool blue undertones. Okay so now we’ve gone over the colors, let’s talk about the formula. These shadows are soft, highly pigmented and apply smoothly. 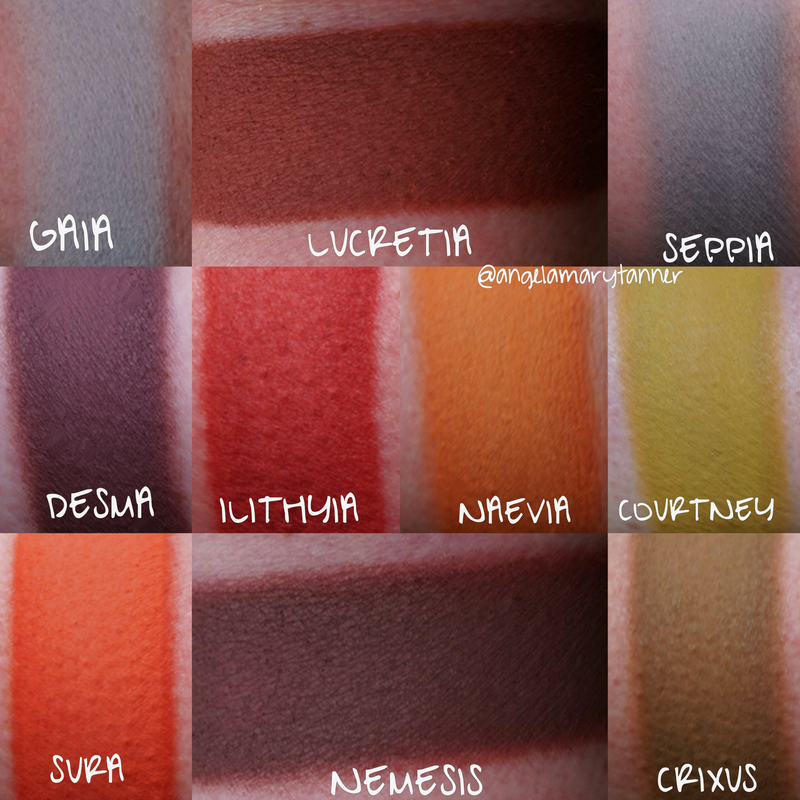 All these swatches were done without primer btw. They applied great without it but I’d still suggest wearing one on your eyes for longevity. Now I will say that these shadows are on the powdery side. I got a good bit of shadow kick up when using a blending brush. I’d compare them to LORAC in terms of formula and performance. There are a ton of great transition colors in this set! Since most of them are vibrant, I’d suggest starting slowly with a light hand so that you gradually build intensity. She also has some nice mid-toned shades. CRIXUS, LUCRETIA and SEPPIA are perfect for adding definition and continuing to build intensity. Finally there’s two dark shades and they’re the type of color that brands often struggle to formulate. Deep plums and burgundies are notoriously patchy and difficult to blend. These two both have smooth applications and build nicely on the eyes. However I did notice that they had a tendency to sheer out if I wasn’t gentle while blending. My only other constructive criticism is that the two gray shades are the slightest bit chalky. But that’s a risk you run with any pastel toned matte. 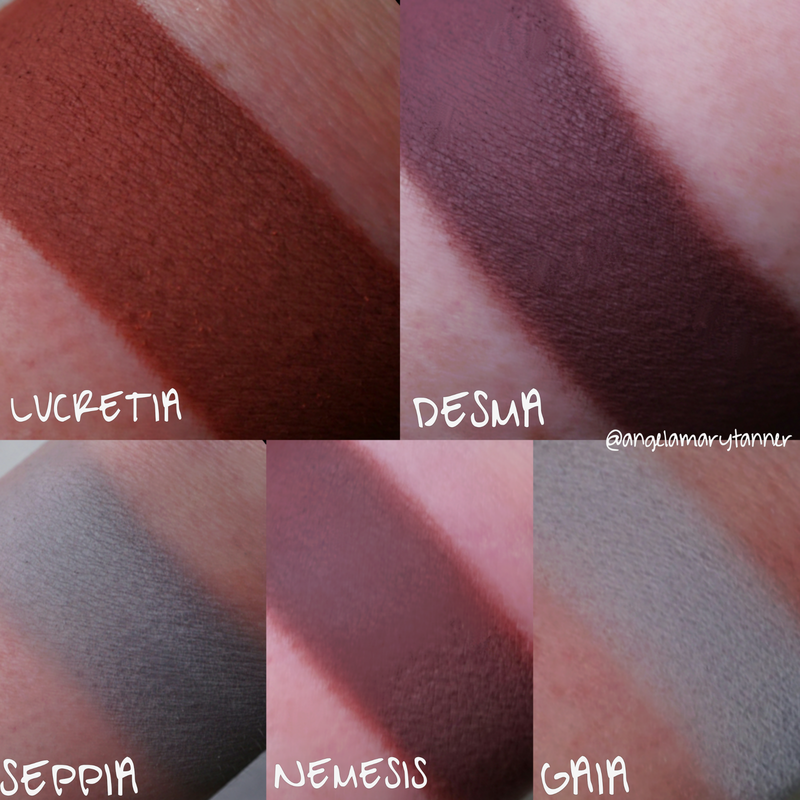 My top recommendations are LUCRETIA, SURA, NAEVIA and ILITHYIA, followed by DESMA and NEMESIS. These are very useful mattes that any makeup lover could use on a daily basis. 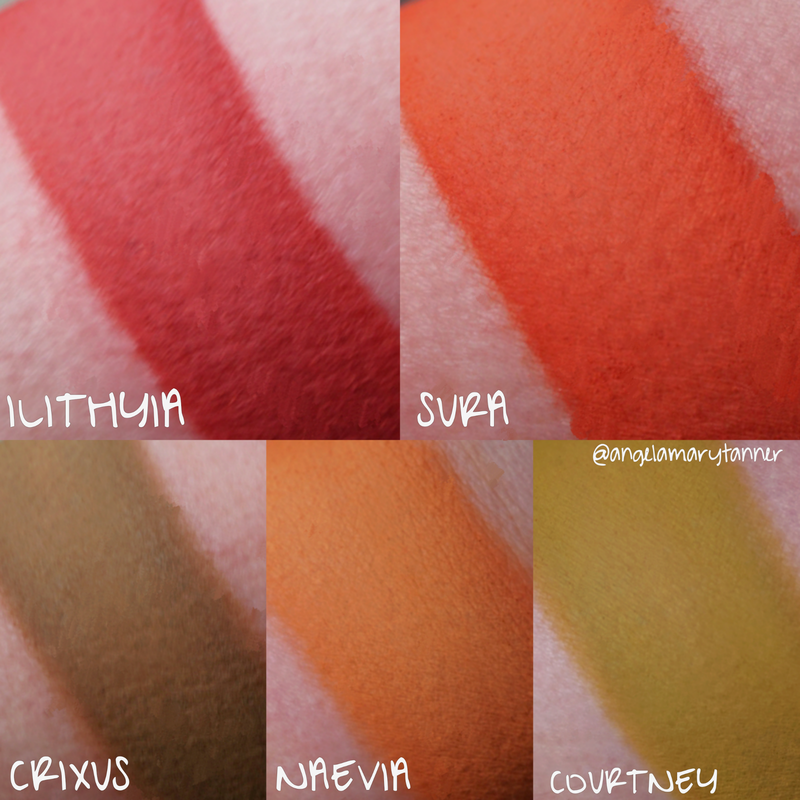 I know how difficult mattes are too formulate and I think DEVINAH did an excellent job. I feel confident in recommending them and I hope that you guys will love them too! 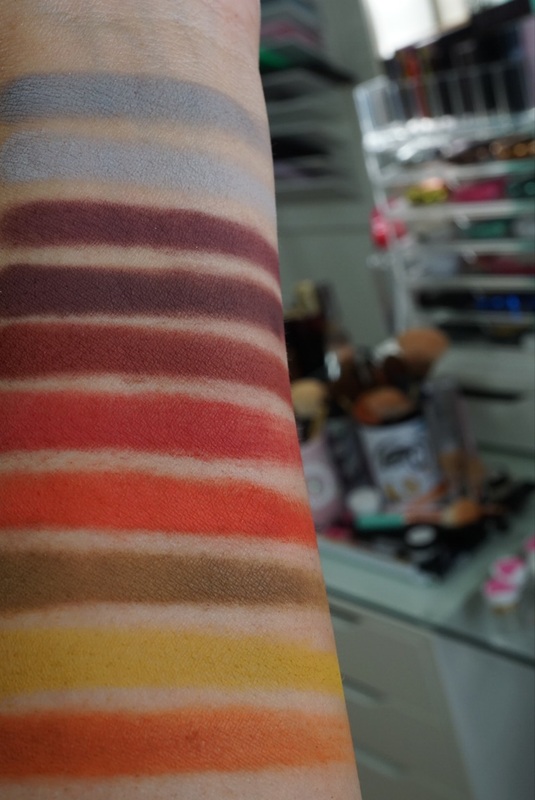 Here’s some side by side swatches that Em did during her swatch video on YOUTUBE! Please check it out, if you haven’t already and subscribe while you’re there! I’m 100% buying the whole lot of these on Friday. Need them! !